150 mm bowl EFP tripods are designed to offer maximum stability and robustness and are ideal for demanding field and studio applications where a longer lens and heavier viewfinder are used. The Pozi-Loc cam-operated clamping system requires low effort with a 90° turn from on to off, providing the user with a positive indication that the tripod is securely locked. The profile of the knob ensures that camera cables cannot snag. 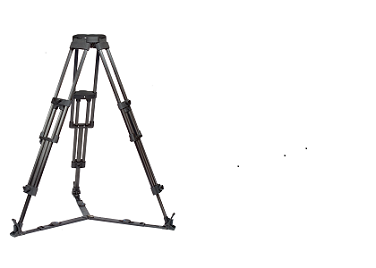 The ‘Baby Legs’ tripod is a low-level version, with a minimum height of 28 cm (11 in.) which makes even lower shots possible.